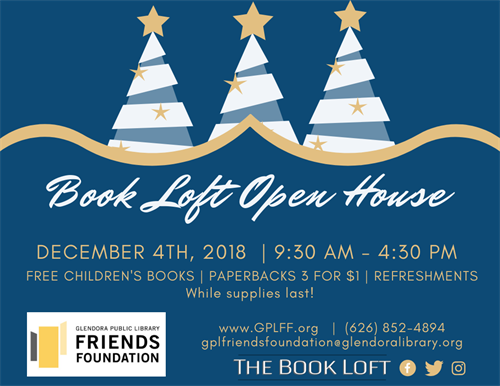 Visit the Book Loft for our annual Holiday Open House! FREE Children's Books! Paperbacks 3 for $1! Book Bundles wrapped and ready for gift giving! Refreshements and so much more! You don't want to miss out!